Amazon.com, Inc. (NASDAQ:AMZN) innovates on its traditional fixed price model of internet retailing, adding a new feature to its website to allow prospective customers to haggle with the price of items sold under its fine arts and collectibles category. 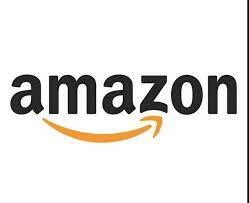 Amazon launched an auction site 15 years ago, but it failed to stand ground in competing with eBay Inc (NASDAQ:EBAY). According to the company, the new feature, called “make an offer”, is different from auction because prospective buyers can make an offer to purchase in complete privacy, and are allowed to buy items of their choice within but not above its list price. Sellers are given 3 days to accept, reject, or counter an offer, while prospective buyers are given another 3 days to decide on a counter offer. The new feature will help Amazon.com, Inc. (NASDAQ:AMZN) to boost sales for its collectibles and arts section as much as it can help its third-party sellers to dispose of items that are not competitive in the first place. There are about 150,000 items currently eligible under the new “make an offer” feature, according to the company, and there are plans to extend the feature to a hundred thousand other items by next year. The move can also beef-up Amazon’s low price reputation, which is now challenged by competition from brick-and-mortar competitors. An October research from data firm 360pi and Wells Fargo indicates that Target Corporation (NYSE:TGT) offers 5% lower prices compared to Amazon, while Wal-Mart Stores, Inc. (NYSE:WMT) offers prices that are 10% lower. The “make an offer” feature is one among many strategies implemented by Amazon.com, Inc. (NASDAQ:AMZN) to boost sales in the face of recent negative performance reports. It can also help strengthen the positions of its third-party sellers, even as the company is becoming more increasingly reliant on them, with as much as 40% of sales coming from third-party sales. Apart from “make an offer”, Amazon recently implemented Amazon Elements, bike messenger delivery, and restaurant take-out and delivery.